Are you looking for a heated footbath and a foot massager in one? Your search is over with the Kendal FBD1023 All-in-One Foot Spa Bath Massager. 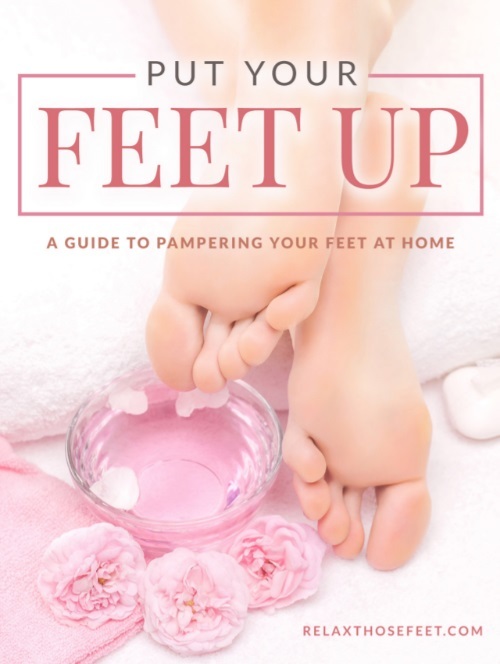 Ease tired feet and aching calves with this nifty foot spa machine by Kendal, a company known for its bestselling health and household items. This foot spa machine packs a lot of features into one neat set: a water heater for non-stop relaxing hot water, whose temperature you can view with the LED display and set with the provided remote control; motorized rollers for the underside of the feet; massage rollers for the calves; water wave, waterfall and oxygen bubble massage and even a hot air drying function. The water temperature can be adjusted from 20 to 48 degrees Celsius. The appliance comes with a light indicator that tells you of the water temperature: a blue light for temperatures less than 42 degrees Celsius and a red light for temperatures equal to or higher than 42 degrees Celsius. The machine’s dual water jets simulate surfing action, while its air nozzles provide the bubbles that gently massage the feet. This action of the heated water releases tension in the feet and helps improve blood circulation while boosting the body’s metabolism and smoothing the meridians of the body. This Kendal unit is made of high-grade plastic that guarantees resistance against high temperatures, aging and warping. It comfortably fits up to men’s size 14 feet and comes with a self-draining hose for easier emptying, cleaning and disinfecting. The unit has the capability to heat water at high speed and maintain the temperature at a constant level, thanks to its heating conductor that is also made of high-quality materials. The Kendal FBD1023 works wonders in heating up the water and maintaining the temperature, making the machine perfect for those who want a soothing, calming foot soak after a very tiring day. The detachable wheels that come with the unit are very handy, especially when transporting the water-filled basin from one place to another. The drain is also a very welcome feature, so you do not need to pour water on the side of the footbath – which might cause problems with the unit. The remote control is also a very good feature, as you do not have to bend down and adjust the settings on the foot spa. The machine is very quiet – you will not expect many noises from it. This unit is very easy to use, so even the elderly can operate the machine on their own. The rollers that are supposed to function as massagers can cause discomfort in the user. The good thing that these rollers can be removed, so you do not have to suffer pain during your soak. The design of the machine is not very ergonomic. 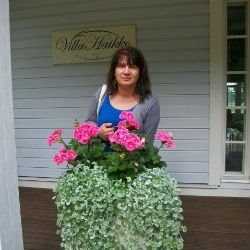 Yes, it is deep enough to submerge your feet in ankle-high water, but the basin is designed only for upright sitting. You cannot lean back and relax your posture because your calves would hit the side of the basin. The machine is wanting when it comes to the amount of air nozzles and the force that the bubbles come out at. The water jets could also be a little stronger, to provide more massage power. The power cord is rather short, so you have to be very near the power outlet or use an extension cord in order to properly use the machine. The wheels are removable, but if you do remove them, the unit has a tendency to wobble. The thing about the wheels is that the lock gets defective, so there’s a chance that the unit will move while you are soaking your feet. If heat therapy is your main aim, the Kendal FBD1023 will be a perfect foot spa machine for you. Its heating mechanism works well in heating the water (yes, you can even put tap water in the basin and it will heat the water up for you in as short a time as 10 minutes) up and maintaining the desired temperature. With the light indicators and the remote control, you can easily set the unit and adjust the temperature according to your preference. It can be costly for $139.98, but should you put a price on your health? Cheaper by $50, the Kendal FBD720 offers almost the same features as the FBD1023, except the remote control, the motorized rollers and the built-in foot dryer, so if you are on a budget, you can opt for this model instead. 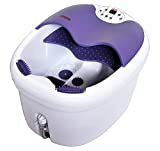 Or you can take your foot spa experience to the next level by adding $10 and getting the Kendal FBD2535, which is a deep foot spa that provides soaking and massaging not just for the feet but for the calves as well. Should you get the Kendal FBD1023? We say go for it –as would the users who gave the footbath a rating of 4.0 out of 5 stars. CAN YOU USE ANY FOOT OILS OR SALTS OR OTHER RELIEFS FOR THE FOOT IN THE SPA?